Petplan Equine has donated nearly 15 tonnes of free feed to Redwings Horse Sanctuary following an incredibly successful Facebook campaign. Petplan pledged to donate 1kg or a scoop of feed for every person who clicked ‘Donate’ on their Facebook page, and an astonishing 14,721 people obliged. The body of the piebald mare and her foal were found by police on 23rd April. They were lying on the verge of a road leading off the B1007. RSPCA Inspector Steven Craddock said, “It is unbearably sad to see an animal given so little care that they die giving birth – the mare must have suffered greatly and we would like to find the person responsible.” Anyone who has any information can call in confidence on 0300 123 8018. The South Suffolk Show has proved a great venue for the College of West Anglia, taking a major trophy home to the Cambridge campus. The college attended the South Suffolk Show at Ampton Racecourse Nr Bury St Edmunds recently and scooped the prestigious Challacombe Trophy for best Innovative Trade Stand. The college attended with a variety of animals from snakes to flurry rabbits and baby chicks, even a Hampshire breed of pig made the limelight. Activities included what’s in the box, plant sales, riding ‘Frankel’, bandaging sick animals to tractor demos. Suffolk based Holden Horse Trailers and Commercial are the sole distributors of the German Böckmann trailers. 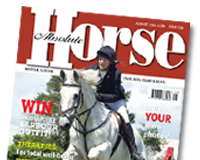 The British Horse Society is welcoming applications for its 2013 BHS Instructor of the Year competition as it once again begins the search to find the nation’s next top horse riding instructor. The BHS Instructor of the Year competition aims not only to inspire and encourage instructors to continue to coach, but also to provide further education and training in order to maintain and improve standards in equestrianism. For further details and information on how to apply, please contact the BHS Training team on 02476 840510 or email training@bhs.org.uk. The Mayor of London was recently joined by Team GB gold medallist, Nick Skelton, as they announced details of the Longines Global Champions Tour in the capital, set to be staged adjacent to Queen Elizabeth Olympic Park from 6th – 9th June. The event will cement the extraordinary equestrian legacy from the London Games and has received full support from the Mayor of London Boris Johnson. The world’s top 30 riders will be competing, including GB gold medallists Nick Skelton, Scott Brash and Ben Maher. Norfolk-based show rider Rebecca Wright has been awarded sponsorship by horse feed manufacturers British Horse Feeds, the makers of Speedi-Beet. Rebecca entered the national competition and caught the attention of the judging panel with her 16-year-old Connemara pony Pumpkin. South Essex Insurance Brokers (SEIB) will celebrate their 50th anniversary with a 1000 mile charity cycle ride from John O’Groats to Lands End in aid of the children’s cancer charity, CLIC Sargent.